We came across this quote today, and it instantly reminded us of Anuj. He embodied the spirit of Mother Theresa's words completely. 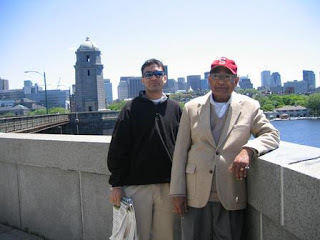 His gentleness, regard for other people's perspectives, and easy-going manner ensured that every interaction with Anuj--from a casual conversation to a deep exchange--left us feeling better and happier. The new Computer Science building at MIT. At the robotic lab at MIT. On May 13, the University of Pennsylvania's Wharton School of Business held its 251st commencement ceremony where the Class of 2007 was conferred. 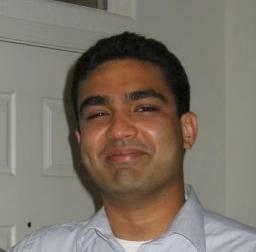 Anuj was also among the graduating class as he was awarded the Masters of Business Administration degree posthumously. 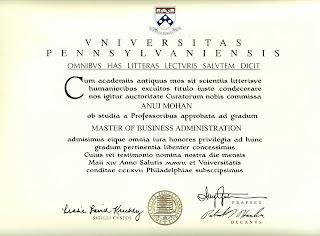 Today the family received the actual diploma along with the graduation program honoring Anuj, which you can see below. "We had an exceptional day for Graduation this year - by far the best weather in years. I heard several people mention that the spirit of Anuj helped keep the clouds away." Mother's Day is the day when all the mothers of the world are honored for helping us become who we are today. 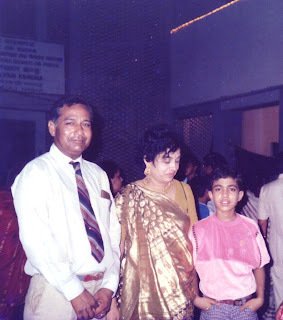 Anuj would almost always be the first one to wish Mom a "Happy Mother's Day" be it in person or over the phone and in the customary fashion would always take her out to brunch on this special day in May. Throughout the years, he showed his appreciation for Mom by giving her gifts that she could cherish for the rest of her life. 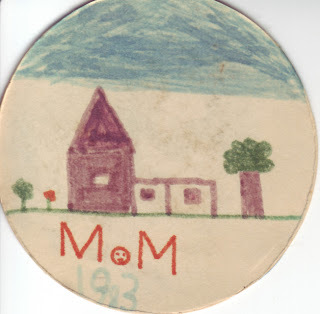 Adjacent is a beautiful charm picture that Anuj painted at school for Mother's Day '83. 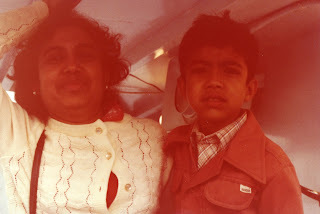 Anuj on Mom's Lap. Summer 1977. 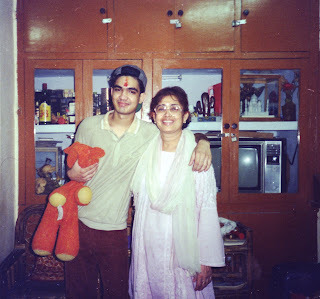 Anuj with Mom in Michighan. Summer, 1979. 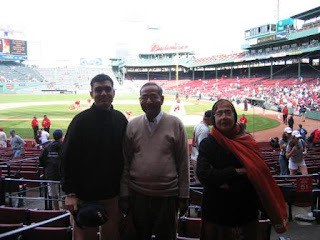 Anuj along with Mom and Dad. Summer, 1986. 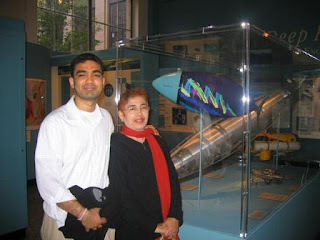 Anuj with Mom on his return from MIT. Summer, 1997. 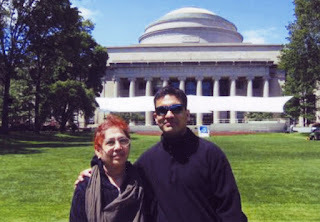 Anuj with Mom in front of the MIT Dome. Summer 2004. 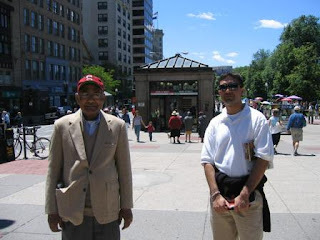 May 6, 2007, marks a bitter sweet day for us. 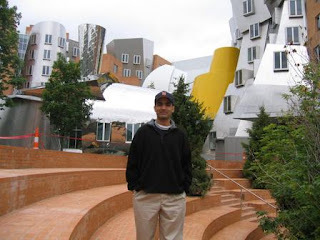 While the news of Anuj being honored with a posthumous (MBA) degree from Wharton is being appreciated as a great honor, it also reminds of us of the day one year ago when Anuj landed in the bay area after having completed his first year at business school. The memories of that day come rushing back; his loving smile, his joy and enthusiasm and his stories of friends and experiences from the past year all fill our hearts and eyes with tears. 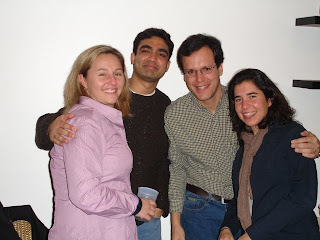 Anuj and his friends at Wharton Business School. Fall, 2006. 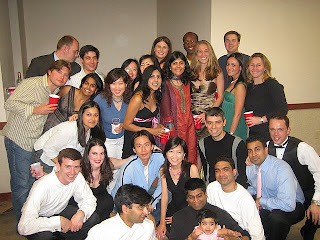 Anuj along with his Cohort at Business School. Spring, 2006.